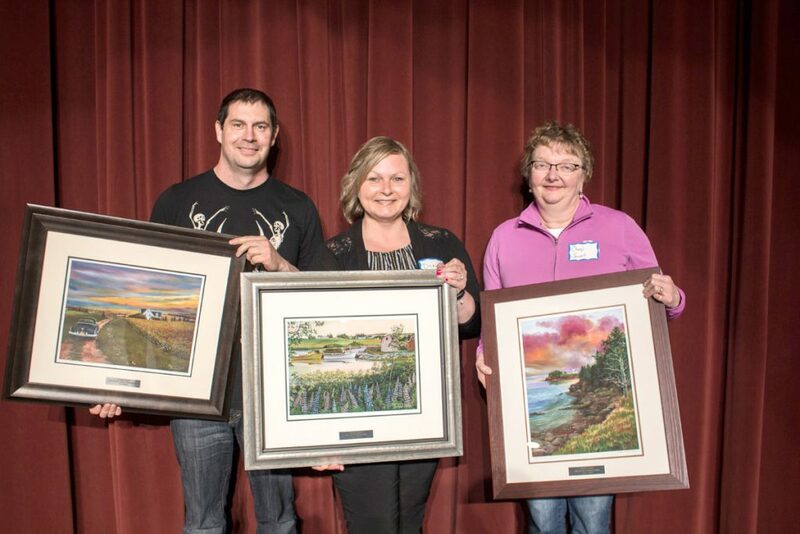 Holland College presented three staff members with awards for their outstanding contributions to the college during the annual Staff Appreciation Day activities held in Charlottetown recently. The Staff Excellence Award, which is presented to a staff member who has made an exceptional contribution within Holland College and the communities it serves, was presented to student support aide Donna Gregory. Maintenance repairman Tyler Holmes received the Facilities Support Services Excellence Award, which honors a facilities staff member who demonstrates exemplary performance and has made invaluable contributions within their department or unit. The Teaching Excellence award was presented to Cheryl Jewel, who teaches in the Resident Care Worker program. This award honors a faculty member who has exhibited consistent excellence in teaching and has had a significant impact on the personal and academic growth of students. Recipients are selected from nominations by fellow staff and faculty members.